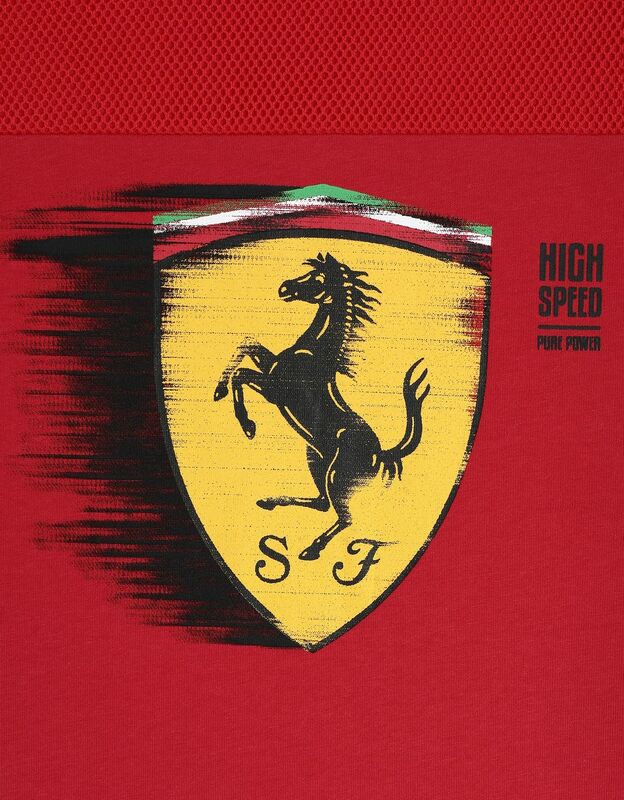 The speed of the cars running on the track inspires the boy's T-shirt with the authentic Ferrari Shield print. 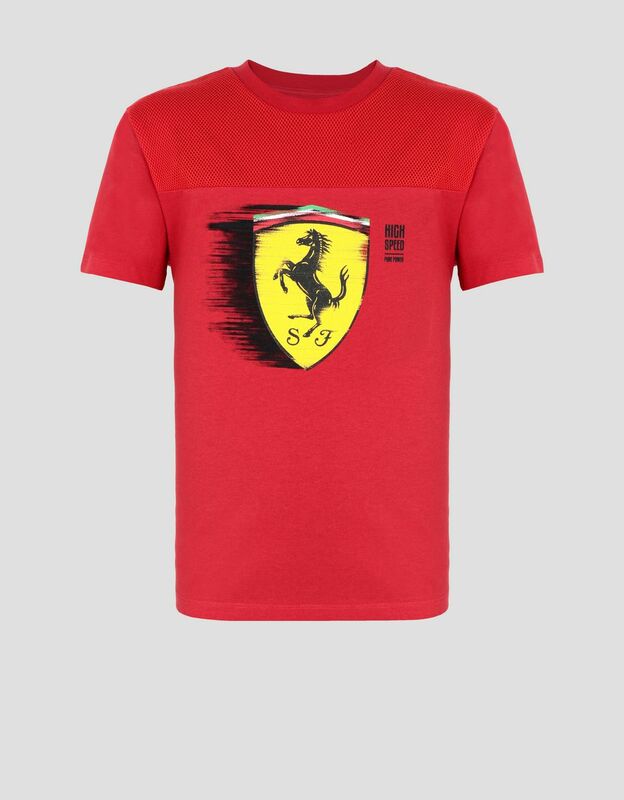 Made of cotton jersey, this T-shirt is distinguished by the large Ferrari Shield printed with outstanding dynamic effect, a tribute to the Maranello team's passion for racing excitement. 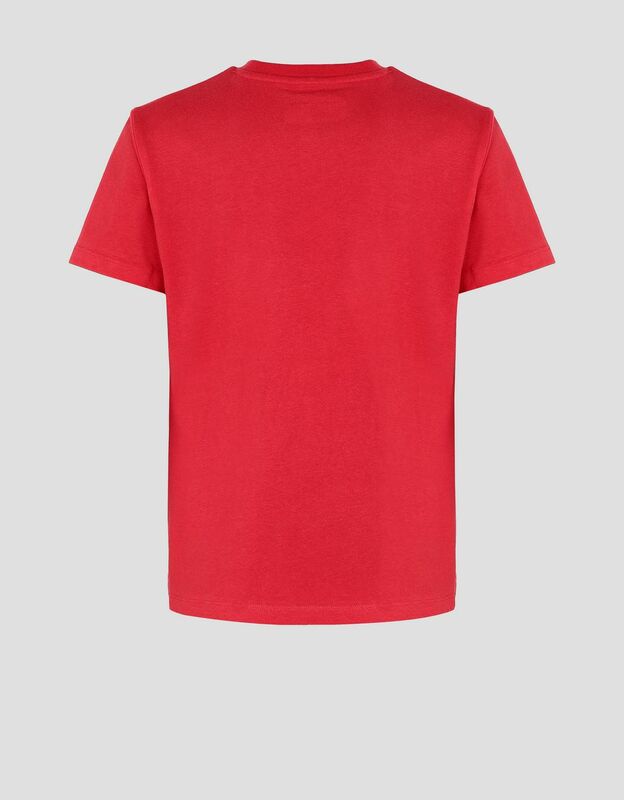 The upper part in perforated fabric emphasises the bold character of the shirt. 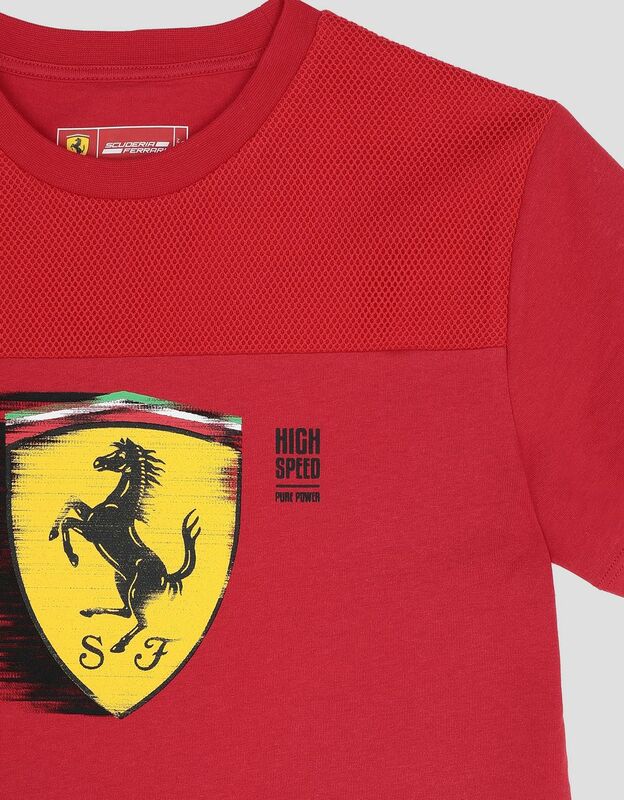 Ideal to add a touch of racing enthusiasm to the looks of the young Scuderia Ferrari enthusiast.